Collins Booksellers - Can I Keep Drinking? by Cyndi Turner, LCSW, LSATP, 9781630479916. Buy this book online. Only about 6 percent of the population that are alcoholic need to quit drinking completely in their recovery process, yet nearly 90 percent of treatment programs and substance abuse treatment practitioners require total abstinence from alcohol. Cynthia Turner is not one of them. In Can I Keep Drinking? 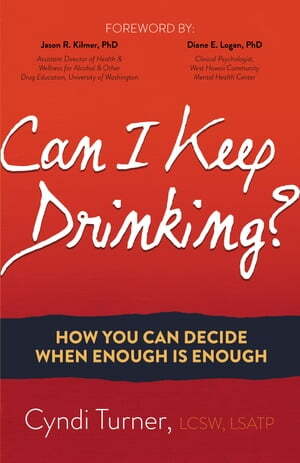 she provides you with easy-to-follow tools, checklists, and quizzes to help you answer the question “Can I keep drinking?” and figure out a way to have a healthier relationship with alcohol.